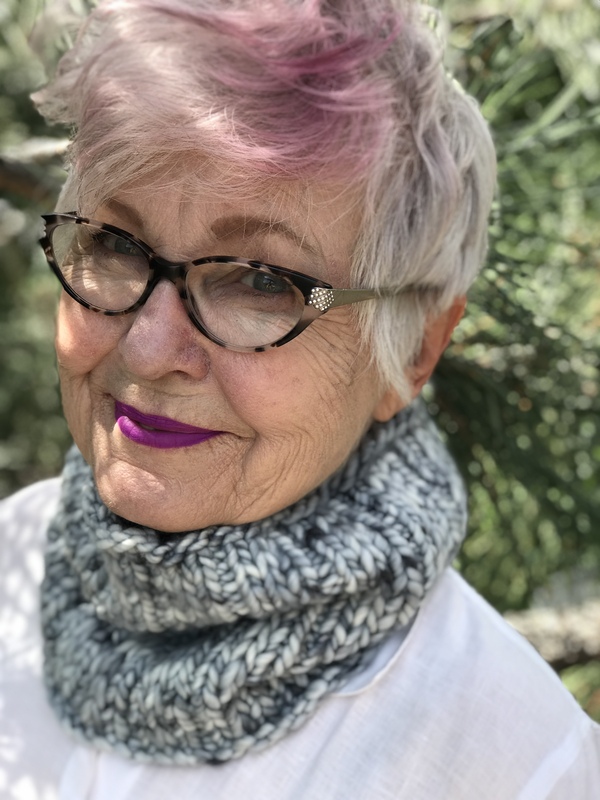 In honor of my Fall 2018 Knit For Fun Retreat in Edmonton, Canada, I designed a thick and cushy cowl to protect against frigid temperatures and blustery winds. The bulky yarn is Merino Slipper, hand dyed by Fleece Artist in a custom colorway that resembles the stark contrast between bare trees and snow-covered fields. Named “Silver Lining,” the colorway is a reminder that there’s beauty in even the harshest of landscapes. The simple texture pattern repeats over just four stitches and two rounds, and is easily memorized. At a gauge of just 2.75 stitches/inch, it’s possible to complete the cowl in a single evening. The Silver Lining cowl is now available on Ravelry. Get 20% off the $6 purchase price by using the code SILVER LINING before midnight November 25.